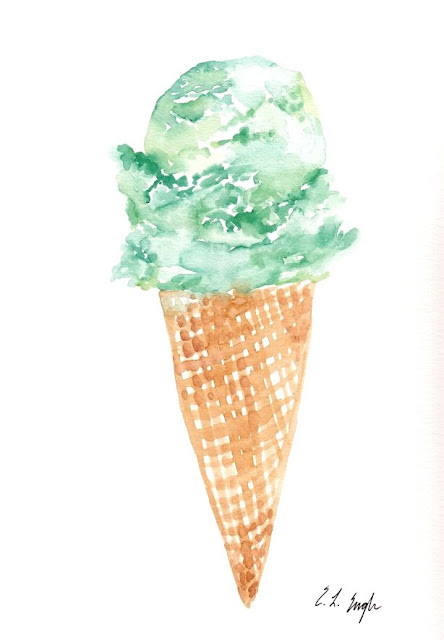 I've been busy creating paintings of my favorite summer foods- ice cream and popsicles! These are all 9x12s - bigger than I normally paint. Now I just need a bigger scanner! So I have a question for you other artists out there, how do digitize your work? Do you scan yourself or hire it out? What scanner do you use? Yum! 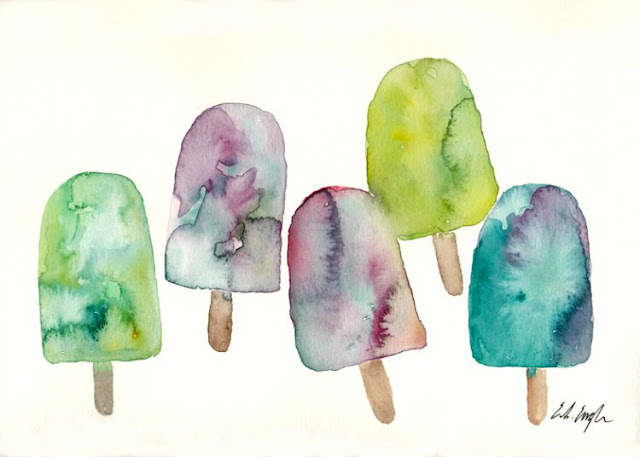 Those are beautiful too. Nice! Thanks for the tip Jackie! I'll have to look up that printer. 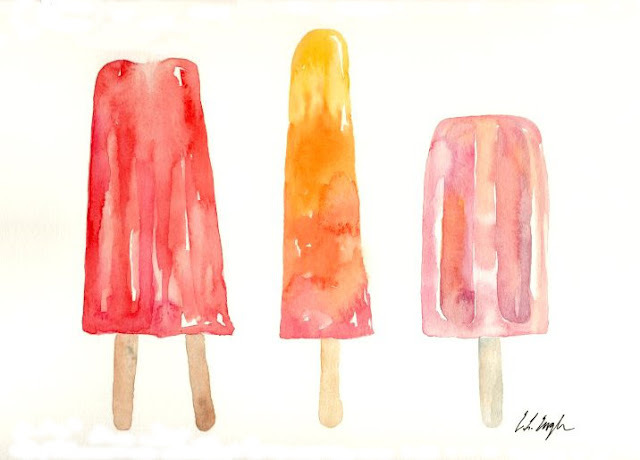 And I ate tons of otter pops as a kid too- I can't stand em now though... haha! Thanks Jenna! and thanks for sharing your scanner info with me.